Explore and learn the multiplication table in a visual way. 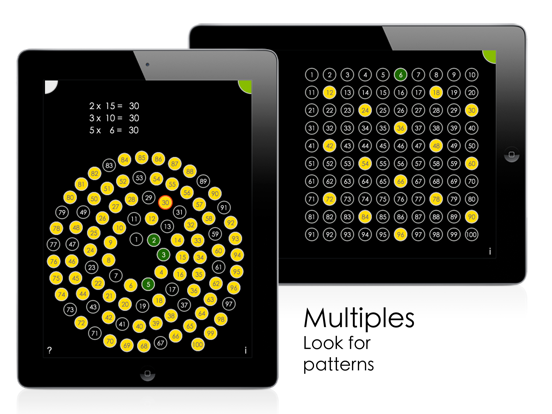 Wired.com: "I highly recommend it for any kid who is learning their multiplication tables". 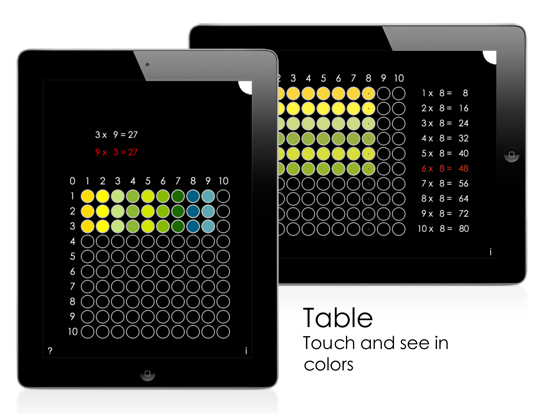 - Table: Explore the multiplication tables. 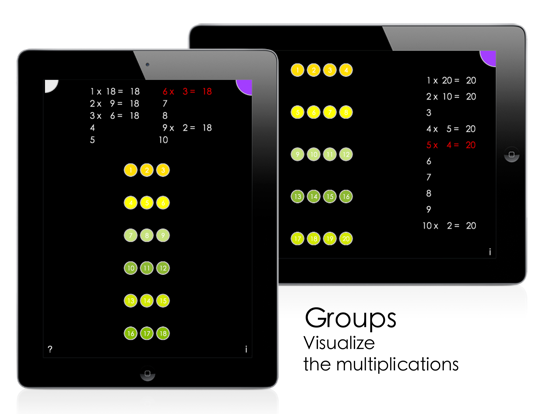 - Groups: See the multiplications as visualizations. - Multiples: See how each number has an unlimited number of multiples. 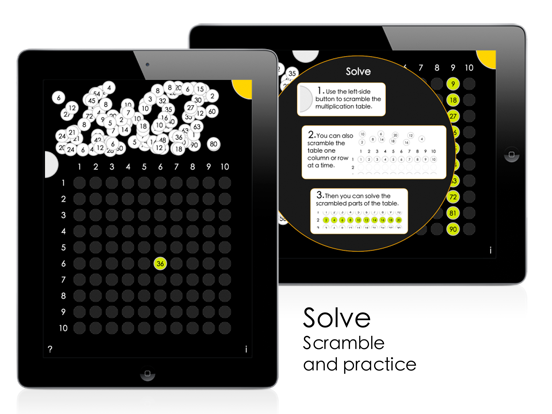 - Solve: Scramble and solve the multiplication table. Highlighted by Apple in US Education "New & Noteworthy" and "Staff Favorites" lists. "I highly recommend it for any kid who is learning their multiplication tables, or who needs a more visual way to approach the subject." For a video of the app please visit idevbooks.com. 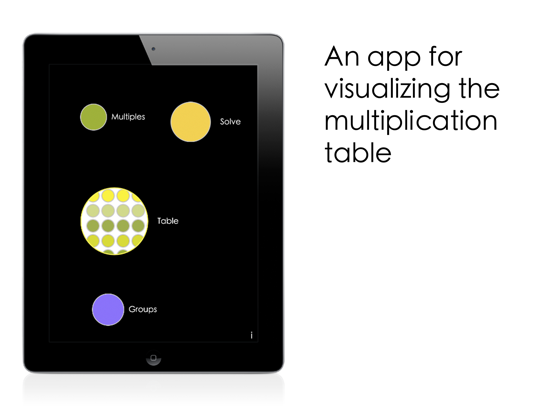 "Multiplication Table is a groundbreaking new way to visualize and interact with the multiplication table. It is quite clearly created by a lover of math who appreciates the patterns and order to be found within the discipline. The multiple exploratory ways to interact with the multiplication table will help you teach your child to think about multiplication as a visual, orderly, and most importantly – understandable concept." Some of the other 32 iDevBooks math apps are Visual Fractions Decimals and Percentages, Column Addition, Long Multiplication, Long Division, Column Subtraction, Partial Differences Subtraction, Partial Products Multiplication, Partial Sums Addition, Decimal Rounding, etc. Please visit iDevBooks.com if you have any feedback or you want information about 32 iDevBooks math apps.